Foster was best known for her short fiction, including novelette “Sinner, Baker, Fabulist, Priest; Red Mask, Black Mask, Gentleman, Beast” (2009), winner of a Nebula Award and finalist for Hugo and British SF Association awards. She began publishing fiction with “Second Daughter” in Leading Edge (2002), and went on to publish more than a hundred stories in magazines and anthologies. Some of her work is collected in Still My Beating Heart/Inspiration’s End (2005); Returning My Sister’s Face and Other Far Eastern Tales of Whimsy and Malice (2009); Mortal Clay, Stone Heart and Other Stories in Shades of Black and White (2011); The King of Rabbits and Moon Lake and other Tales of Magic and Mischief (2013); and A Vampire Quintet: Five Sinister and Seductive Vampire Stories (2013). She also worked as managing editor at review sites Tangent Online and The Fix, and was involved with Dragon*Con as a director and as editor of their newsletter The Daily Dragon. Eugie K. Foster was born December 30, 1971 in Urbana IL and earned a master’s degree in developmental psychology at Illinois State University, but chose to leave academia to focus on writing. She also edited legislation for the Georgia General Assembly. Foster was diagnosed with malignant and fast-growing cancer in her sinuses in October 2013. She is survived by husband Matthew M. Foster, married 1992. 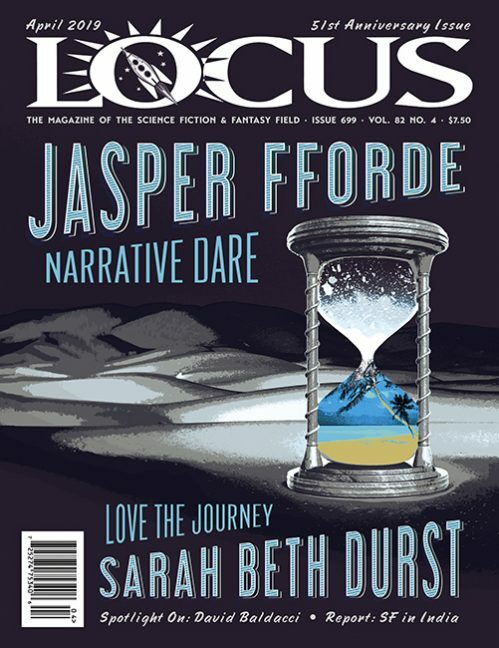 See the November 2014 issue of Locus for a complete obituary.